Toshio Tominaga is a 73-year-old Japanese open water swimmer who will soon attempt to swim across the Tsugaru Channel in Japan. If Tominaga is successful in swimming from Honshu to Hokkaido in northern Japan, he will enter the annals of channel swimming as one of the oldest athletes ever to successfully complete a channel challenge. The list of the oldest people to swim across the channels of the Oceans Seven is below. "Many of these records were set in the last few years; it is one indication that more and more people in their 50s, 60s and 70s are taking to the open water and attempting these extreme swims," explains Steven Munatones. "When the Half Century Club was first started, successfully completing a channel swim over the age of 50 was considered an incredible achievement. Nowadays with so many people in the second half of their lives taking to the world's oceans, it seems that doing a channel in your 50s and 60s is almost an expectation for veterans of the sport. This is a remarkable mindset transformation that is unparalleled in endurance sports in the early 21st century. 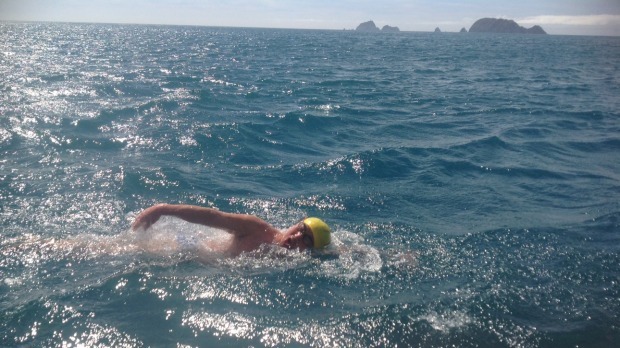 But, of course, completing a channel swim after the age of 50 remains a remarkable testament to swimmer's physical condition, mental fortitude, and passion for adventure, challenge and the open water. And there is a whole generation of 30-somethings and 40-somethings who fully intend to continue their open water swimming career for decades. I think these current records (see below) will continue to be rewritten for generations to come."